Part of the two opposite training kits for the year. Both the black and grey were the same design with different colours. 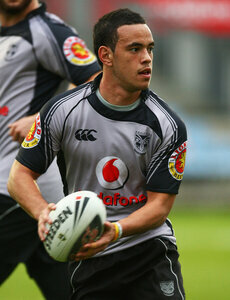 These two jerseys were Canterbury of NZ's first purpose made training jerseys for the Warriors and would start a tradition of selling one colour range to the public and making the other exclusive to the team. 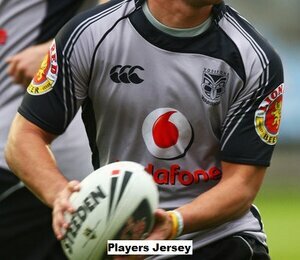 PLAYERS JERSEY - The grey version was never sold to the public and were team issue only. They were never worn during any of the teams 2009 trials.